Registration Forms are available in February. Children must be in Year 8 or above. 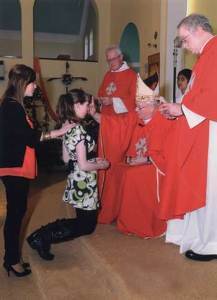 Confirmation usually takes place in the parish in the month of May. Confirmation Programme takes place from March to May.